Getting a head start on your holiday shopping? Make it extra easy this year by making Stitch Fix your one-stop shop for getting everyone on your list a gift they’ll love—a Stitch Fix gift card! Whether they’re fashion-loving or not-so-much, all guys and gals will love the gift of style—and not to mention—a Stylist who just gets them. 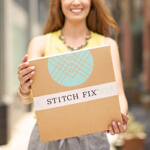 Keep reading to see our Stitch Fix gift guide! Help dad say bye to dad jeans and cut-off tees for good. While he’s waiting for his delivery of new clothes (without spending a minute in a mall), let him sit back and sip a good cup of coffee from Blue Bottle Coffee. Or, make him snap happy with a new camera to help him capture those picture perfect moments outfits. Mom’s the word! She’s the number one lady in your life, so gift her big this holiday with the things you know she won’t get for herself. Whether she’s all about casual dressing or likes to dress to impress 100% of the time, get her a Stitch Fix gift card so she can treat herself with a personal Stylist. Add on everyone’s favorite mixer or help her store all of her jewels with a leather zip case. She’s been through the ups, downs and all arounds with you—so why not tell her how much you love her with a gift card from Stitch Fix? She’ll have a Stylist on hand (courtesy of you) and new clothes delivered to her door. While she racks up the style points, help her chill out with a new yoga mat and a water bottle by bkr for her 8 glasses a day. You used to do his laundry (or maybe you still do)—but it’s time to shape him up. Send him a gift card and tell him all he has to do is sit back, relax and wait for new clothes to show up on his doorstep. While he has more time on his hands, help him keep track of time with a new timepiece and if he’s in the market for a new shaving kit (because who isn’t?) get one at Bevel. Whether she’s a little fashionista or can’t stand to shop, send her a Stitch Fix gift card to help her end (or start) a new year in style with clothes picked out just for her! Grab her a coffee table book that gives her the A to Z on fashion and endless inspiration, or gift her something extra cool like everyone’s favorite beauty brand du jour as a stocking stuffer. 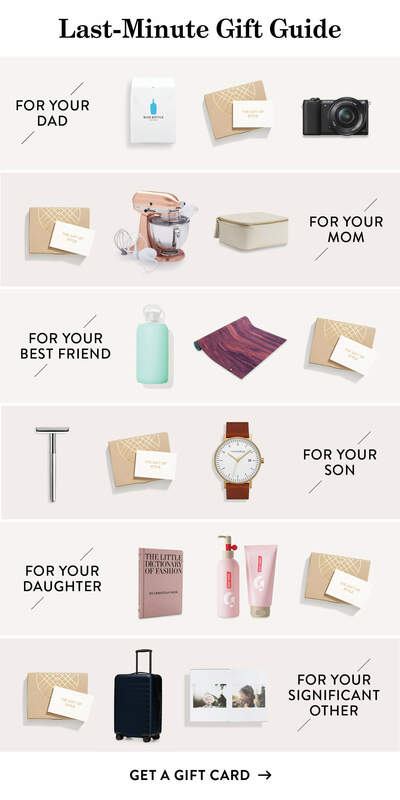 What to Gift to Your S.O. In love and don’t care who knows it? This holiday season, make gift giving easy and memorable with a Stitch Fix gift card so you can spend quality time with your boo (not online shopping). Throw it back with a photo book of your favorite memories. If you and your boo can’t wait to hit the road, gift ‘em a suitcase that will match their new favorite outfit. Ready to give the gift of style? Get a gift card right here, right now.